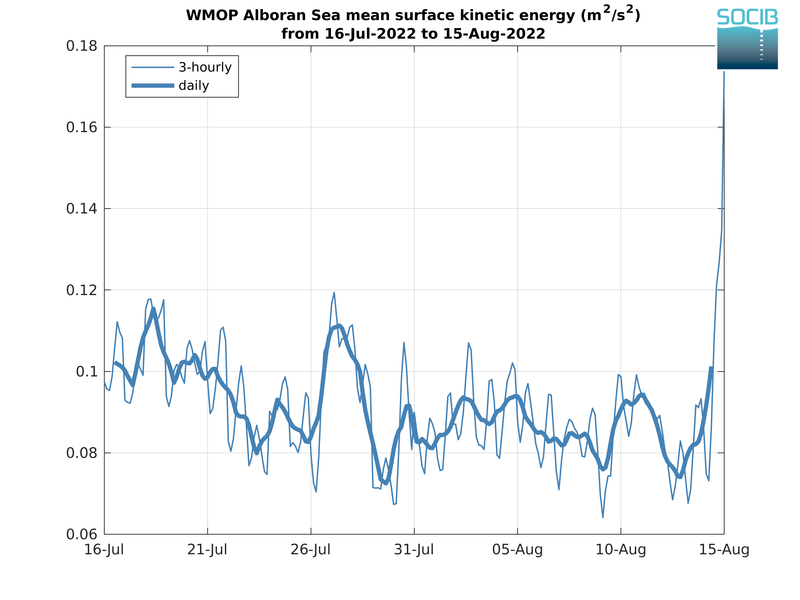 Several ocean indicators (volume transports along key sections, spatially averaged Sea Surface Temperature, Salinity and Kinetic Energy, maximum Mixed Layer Depth, Heat Content in the surface layer [0-150m]) are computed every day from the model and displayed in this section as time series over the last 30. 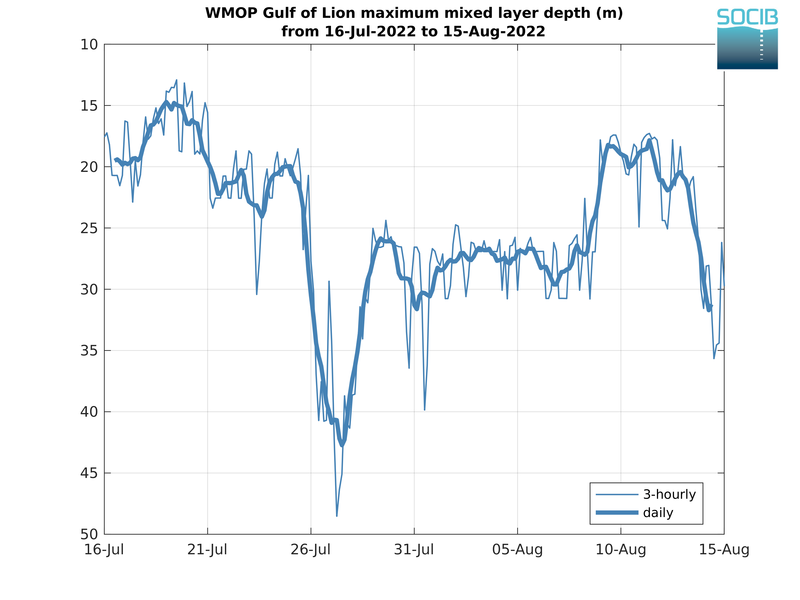 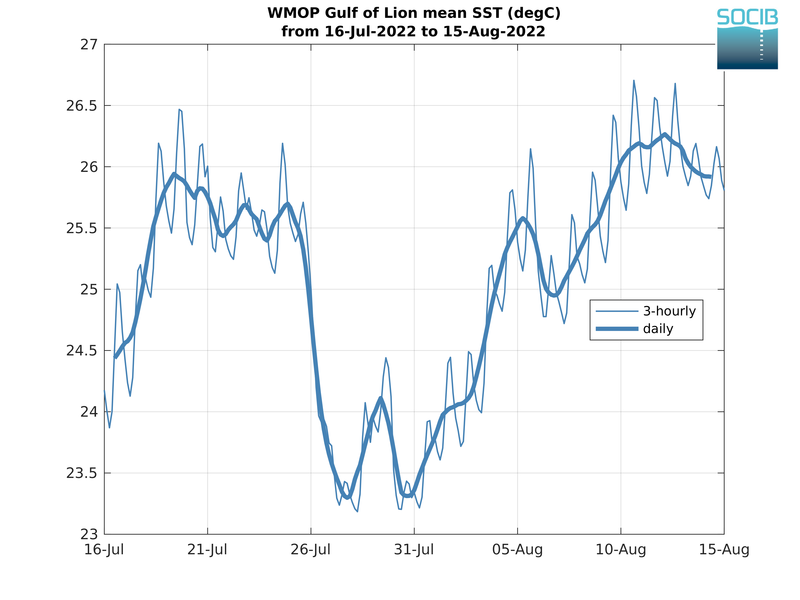 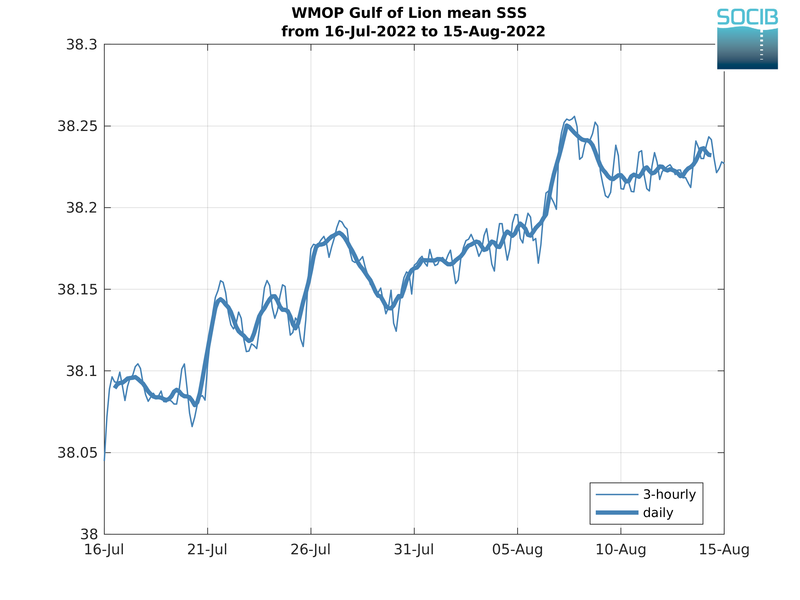 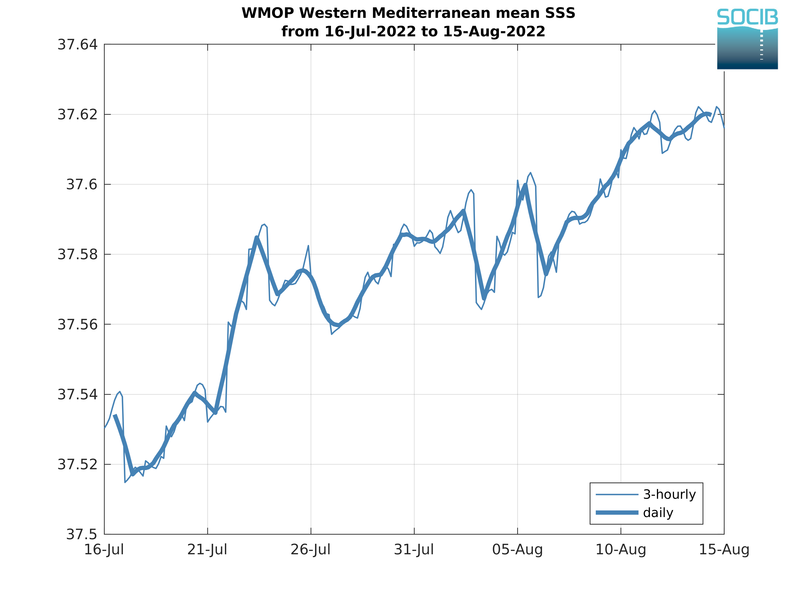 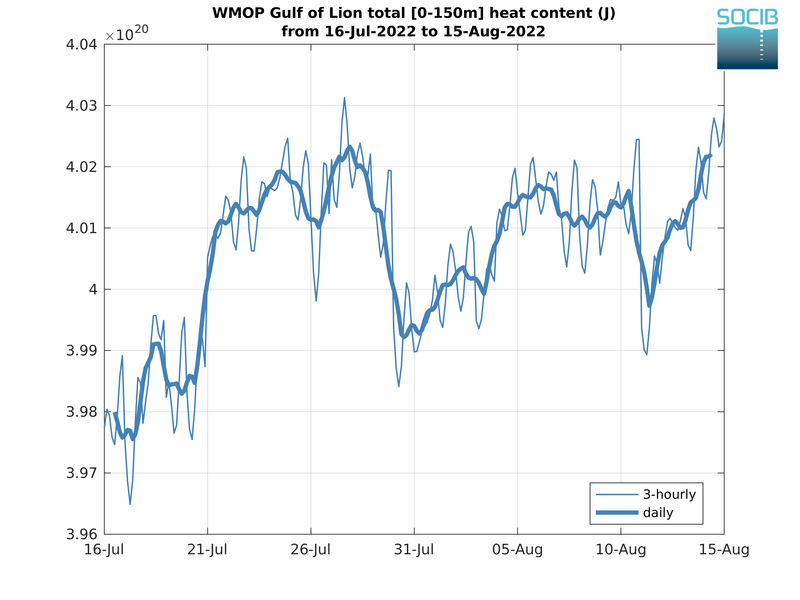 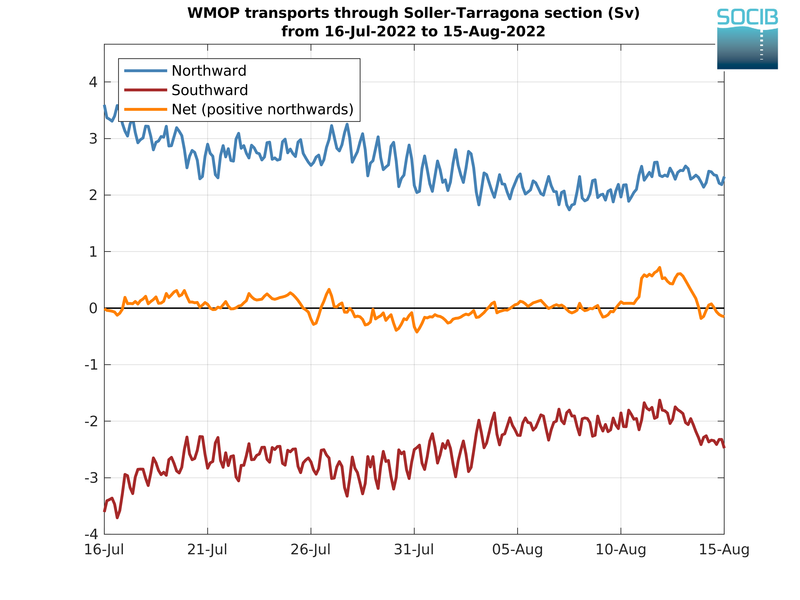 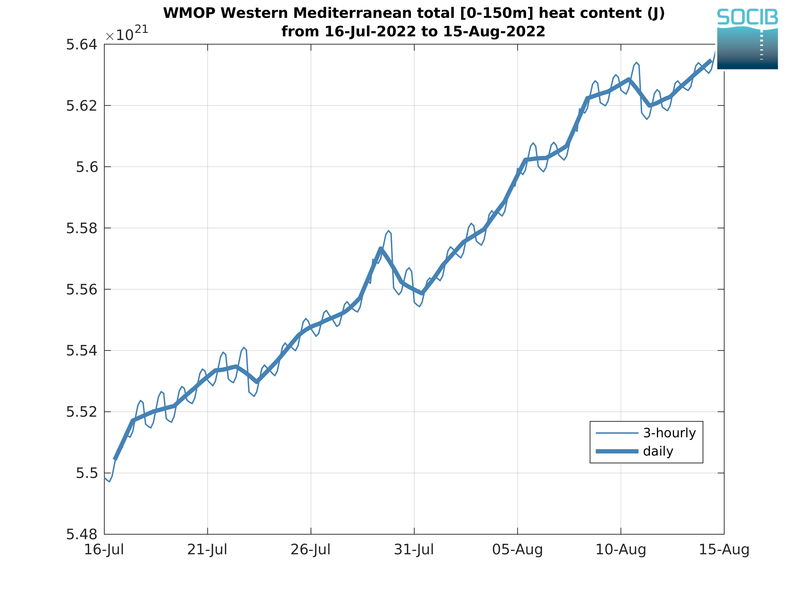 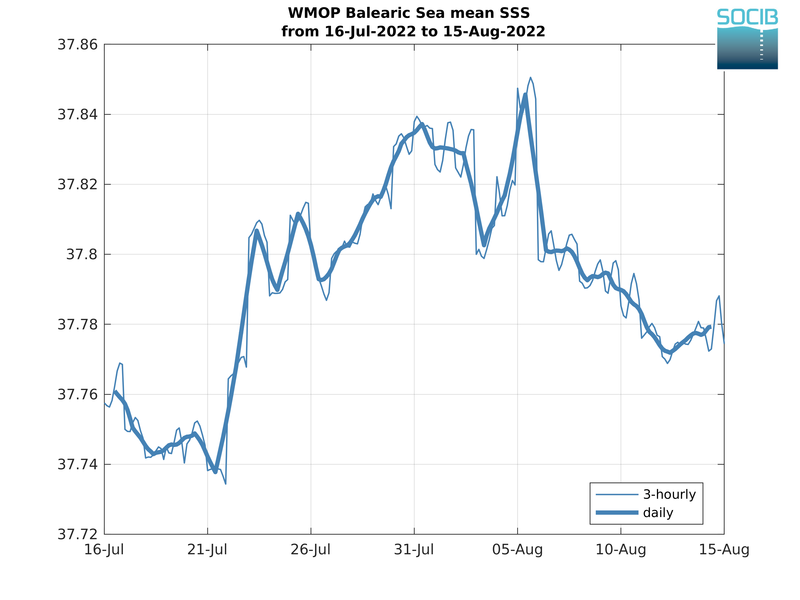 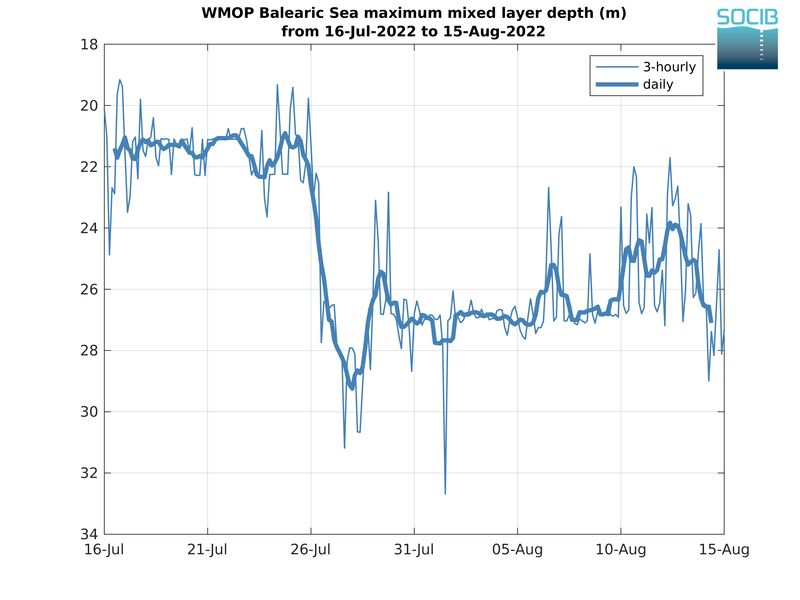 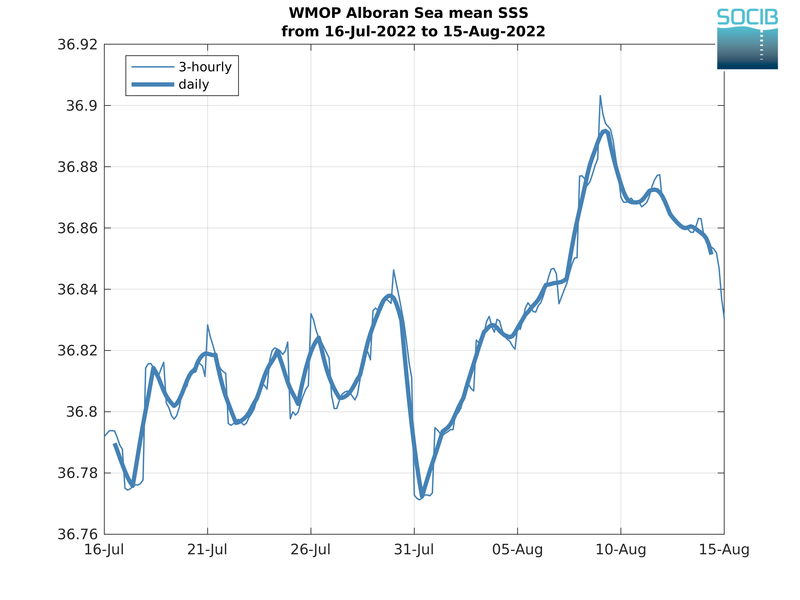 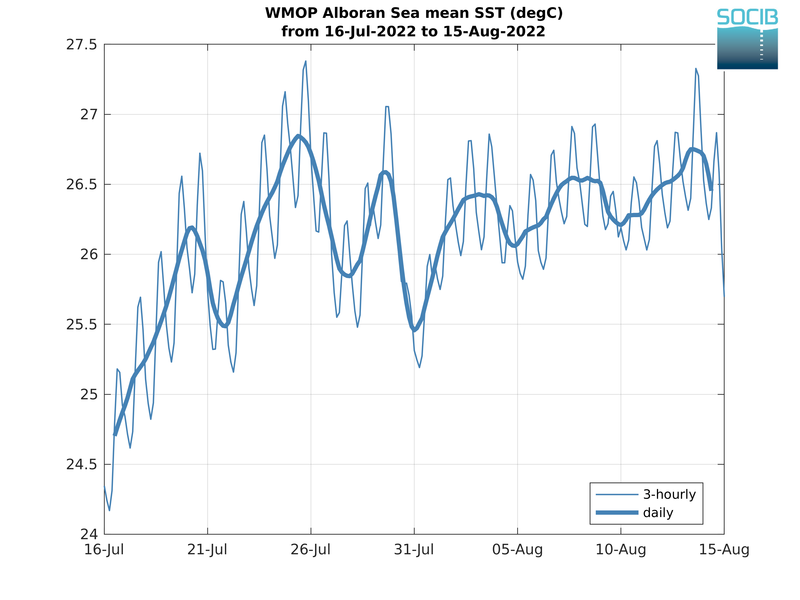 These indicators are computed both for the whole WMOP domain and in three sub-regions (Alboran Sea, Balearic Sea, and Gulf of Lion). 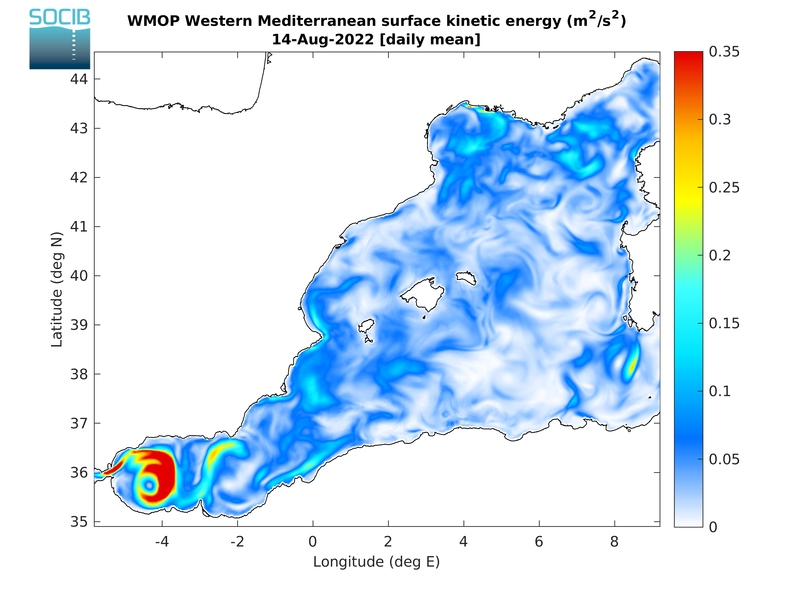 They allow to systematically monitor the behavior of the system and are very useful to detect changes in ocean properties as represented by the model. 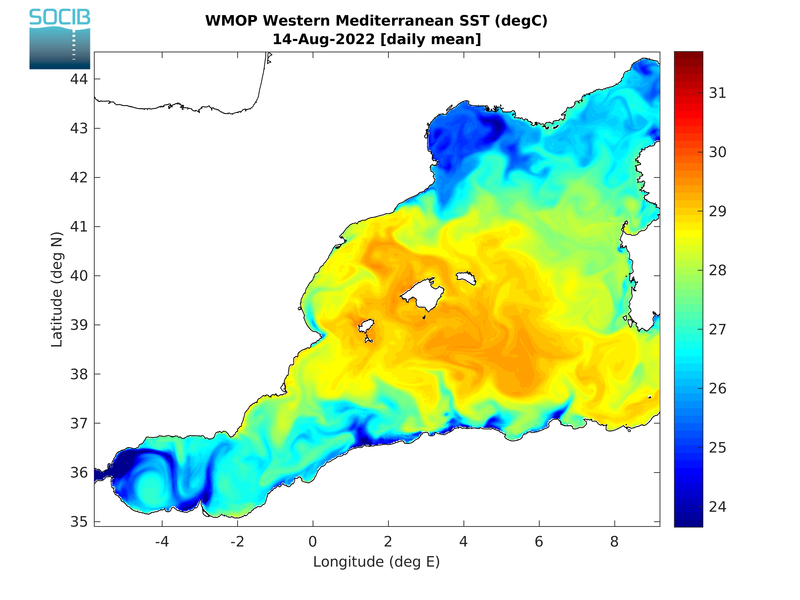 Figure 1: Western Mediterranean bathymetry and sub-regions (red lines) used for the computation of indicators. 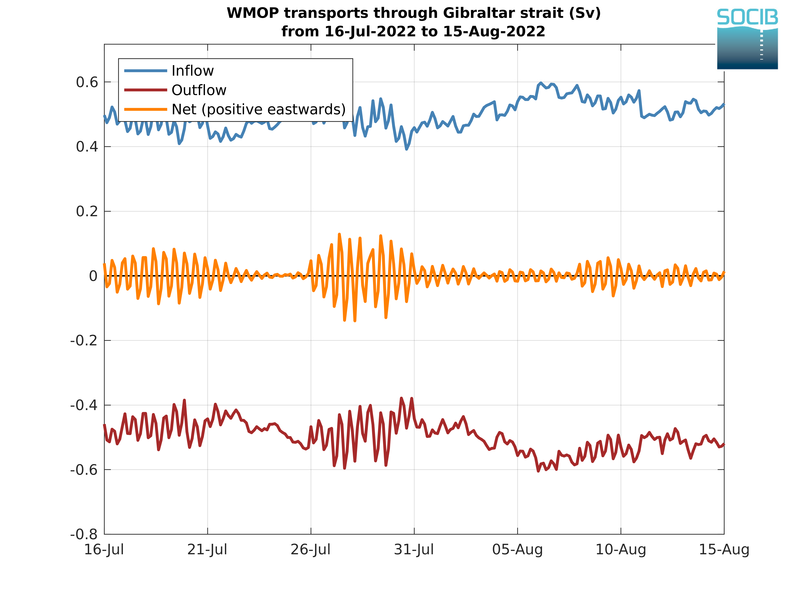 The four key sections considered to compute volume transports are represented by the pink lines. 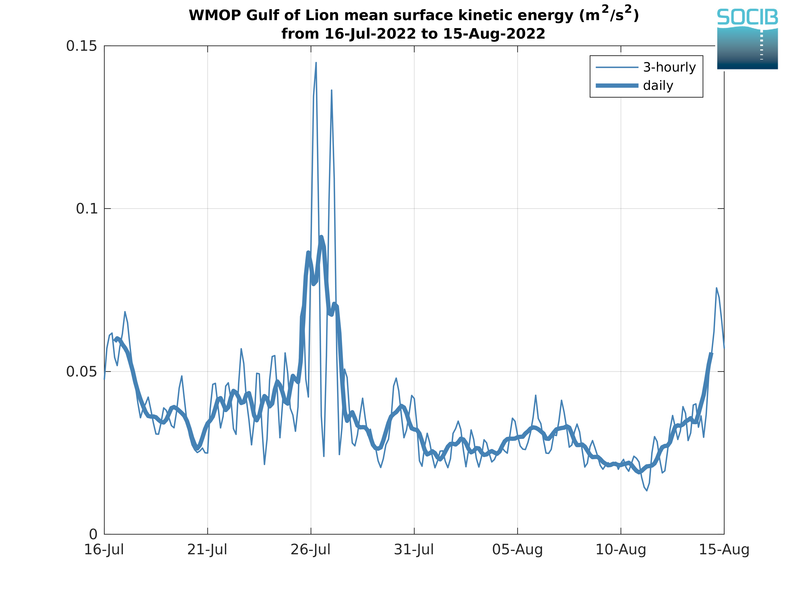 In this section, the latest 30-day time series of volume transports through four key sections (see Figure 1) are displayed. 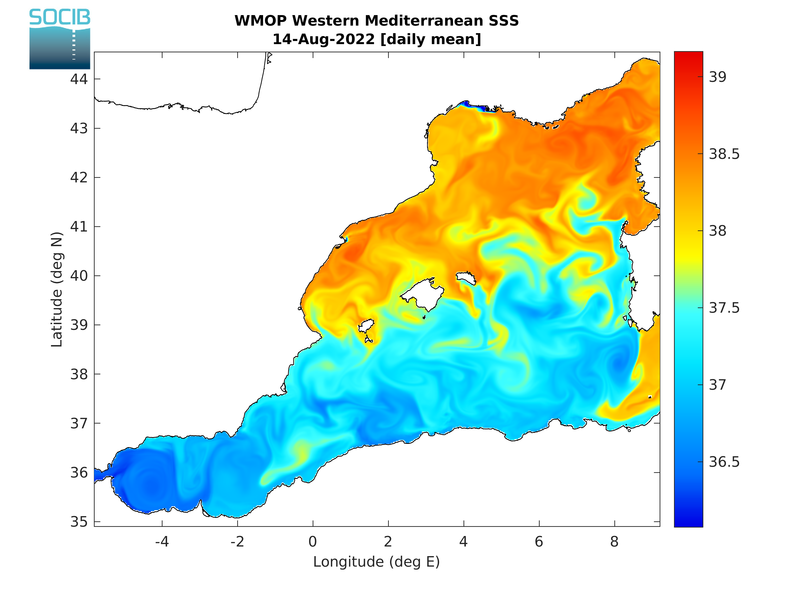 The Sea surface temperature (SST) is a crucial oceanic parameter for the exchanges of energy between the ocean and the atmosphere, for biological processes in the ocean, for fisheries and for a wide range of recreational activities. 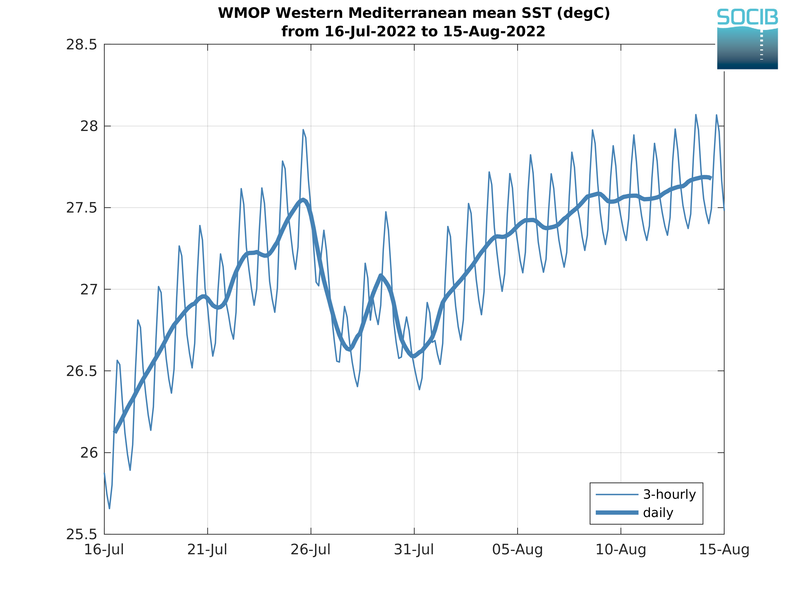 The temporal evolution of the spatially averaged SST is monitored in this section, both for the whole modeling domain and in the three sub-regions defined in Figure 1. 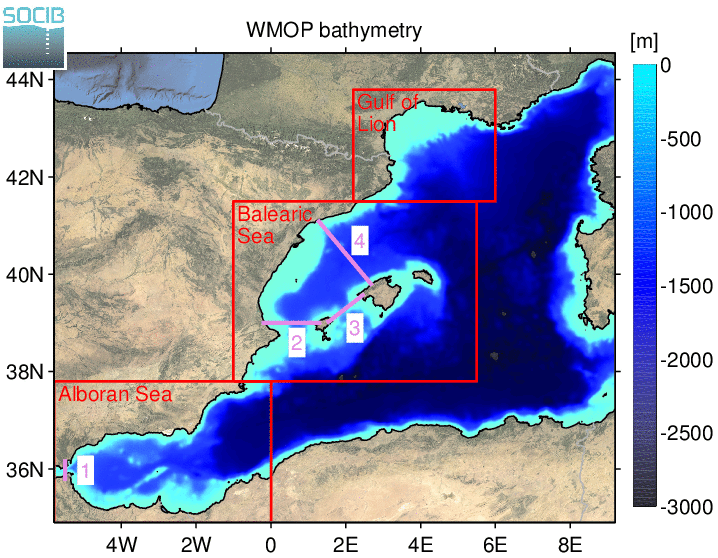 Along with temperature, salinity is a key factor that determines the density of ocean water and thus impacts water masses formation and evolution. 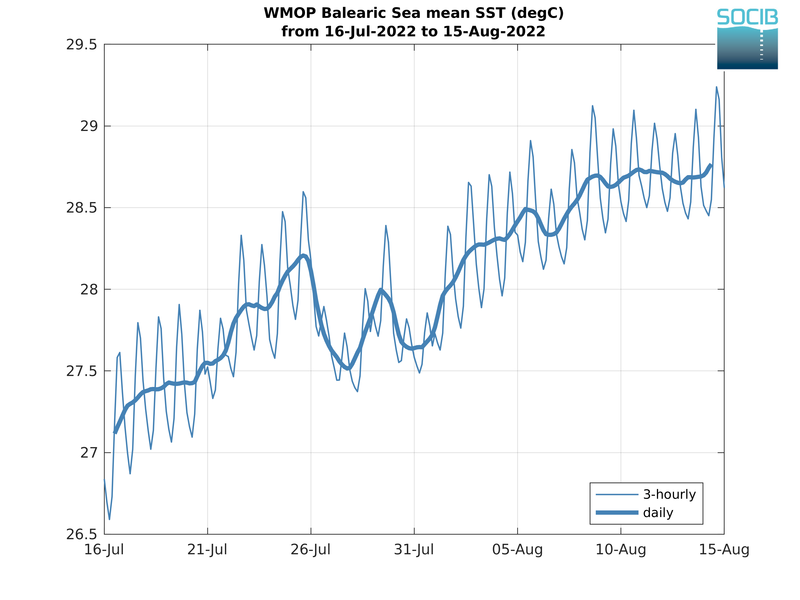 The temporal evolution of the spatially averaged Sea Surface Salinity (SSS) is monitored in this section, both for the whole modeling domain and in the three sub-regions defined in Figure 1. 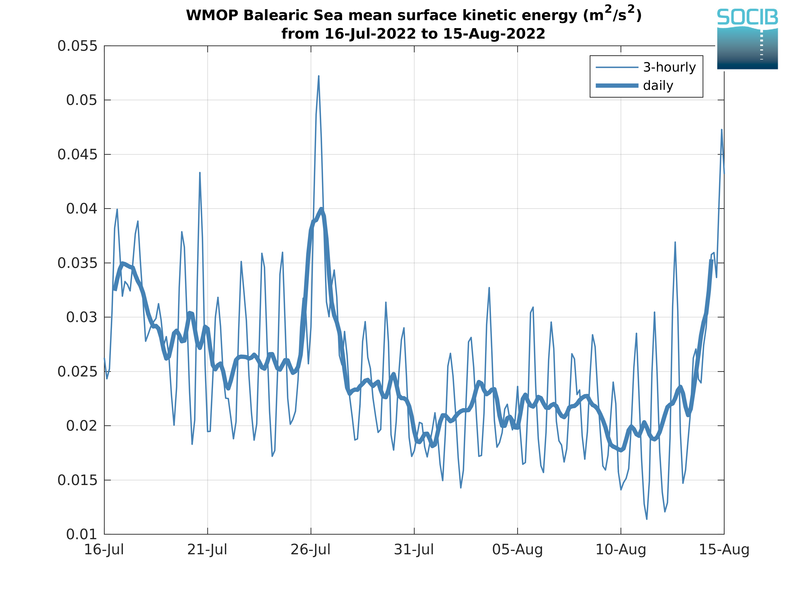 The kinetic energy of the ocean is the energy associated with ocean currents. 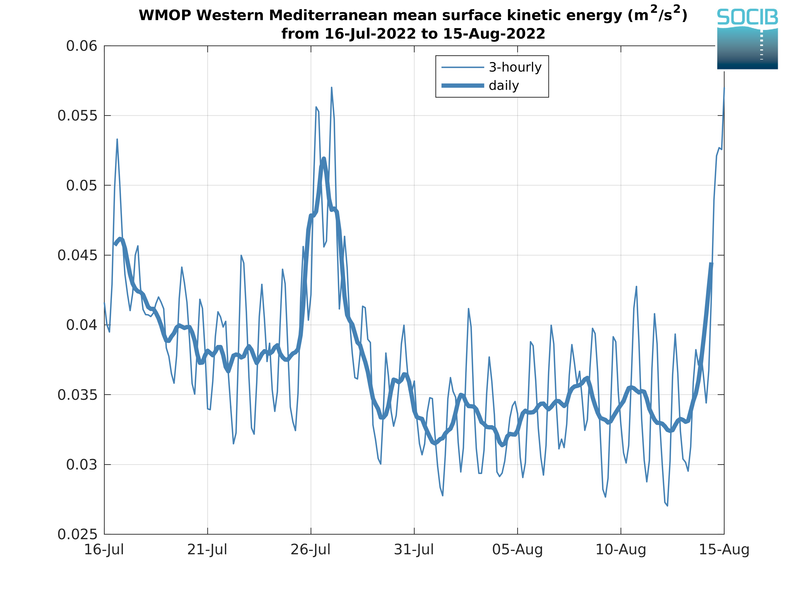 The temporal evolution of the spatially averaged Surface Kinetic Energy (surface KE) is monitored in this section, both for the whole modeling domain and in the three sub-regions defined in Figure 1. 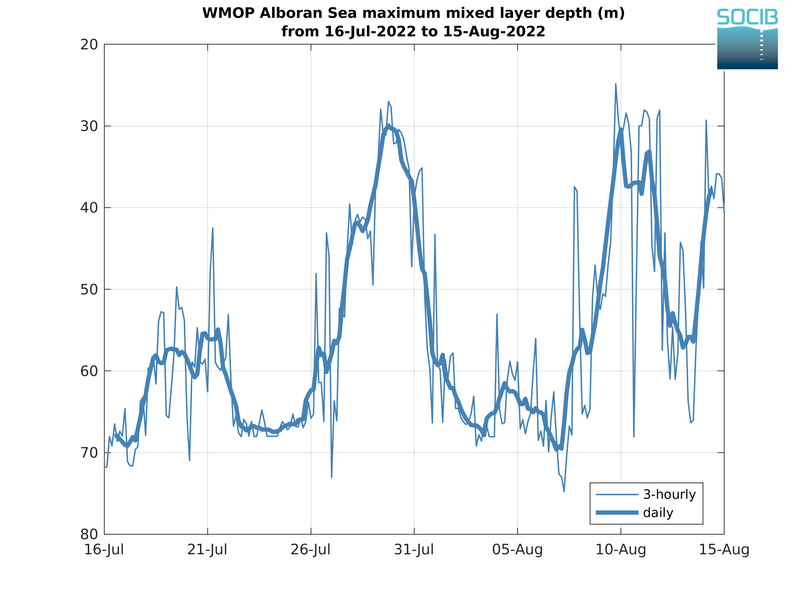 The highly variable ocean surface mixed layer is the layer where ocean-atmosphere exchanges of mass, momentum, energy, freshwater and heat take place, and where major biological and chemical processes occur. 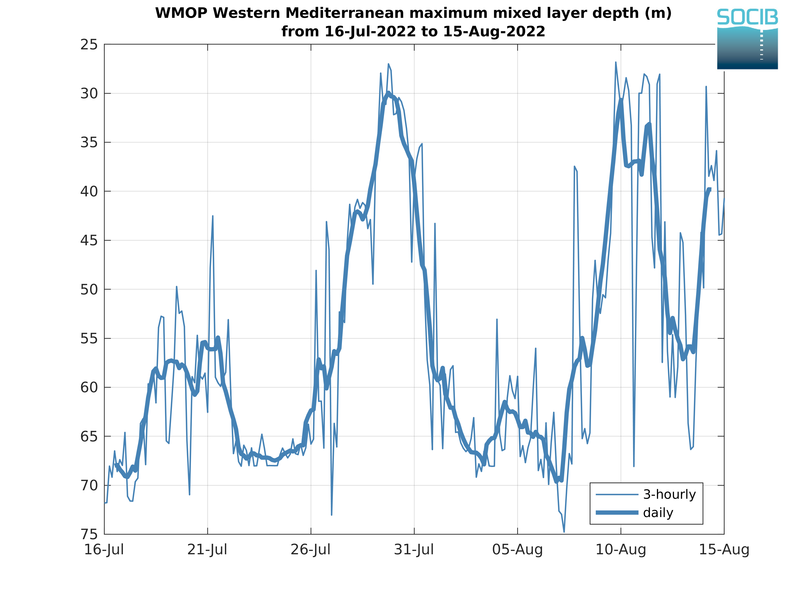 The temporal evolution of the maximum Mixed Layer Depth (MLD) is monitored in this section, both for the whole modelling domain and in the three sub-regions defined in Figure 1. 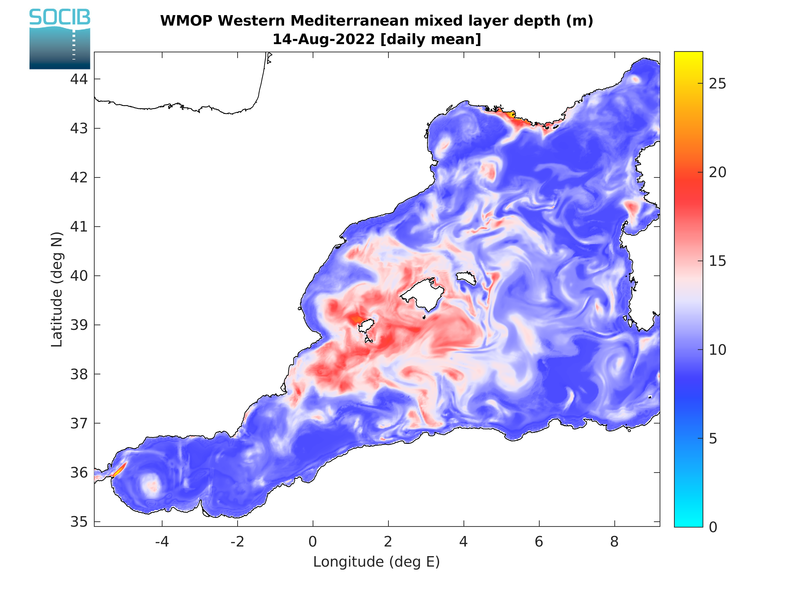 The mixed layer depths are calculated using a density criterion with a threshold value ∆σθ corresponding to a fixed ∆T=0.2°C. 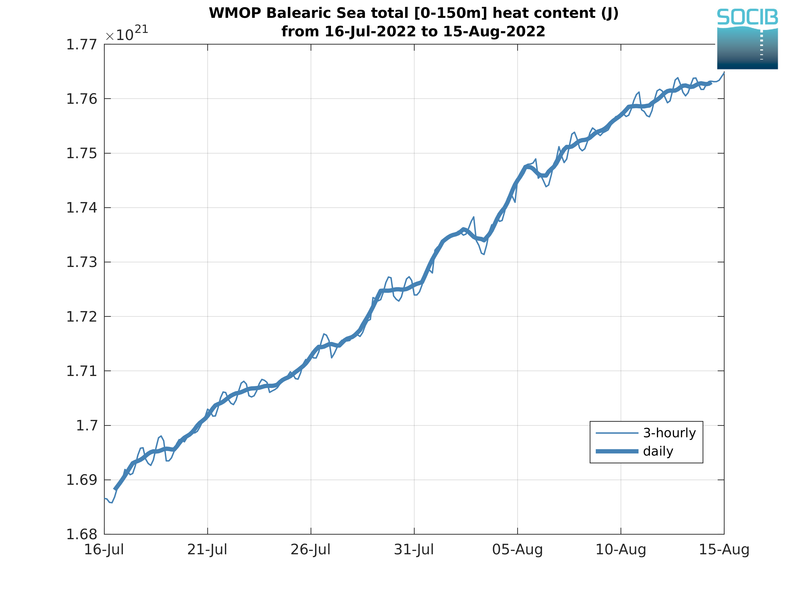 The heat content integrated in the surface layer down to 150m can be considered as a climatic proxy to monitor the ocean heat content as well as the air-sea heat exchanges. 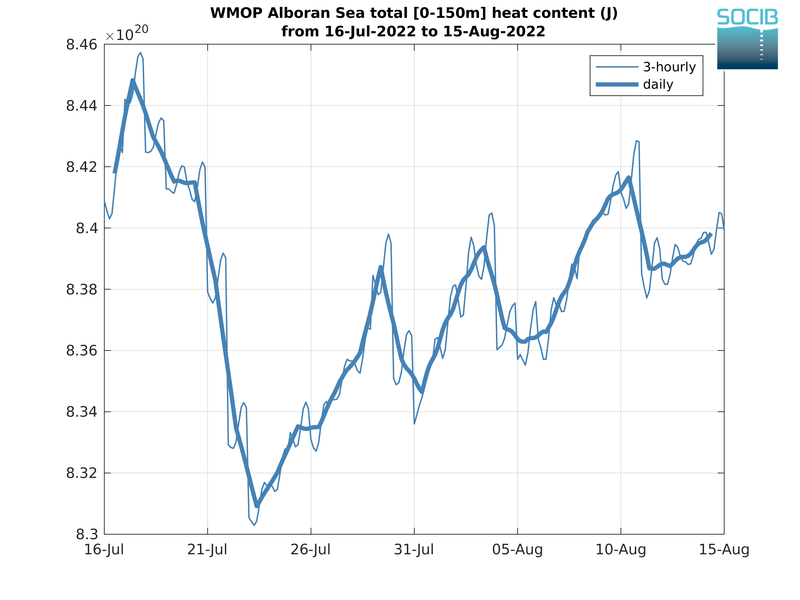 The temporal evolution of the [0-150m] Heat Content (HC[0-150m]) is displayed in this section, both for the whole modelling domain and in the three sub-regions defined in Figure 1.